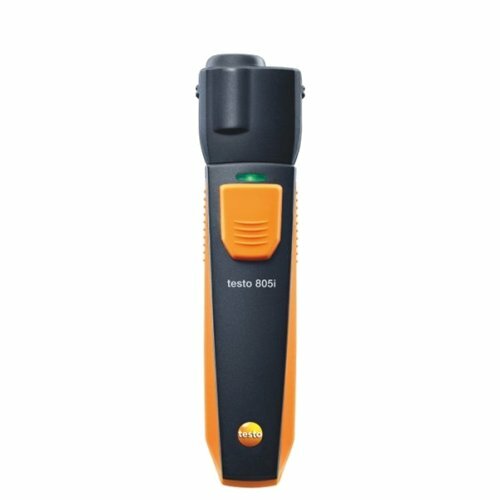 The Testo 805i infrared thermometer is part of the innovative Smart Probe range for use with smartphones and tablets. 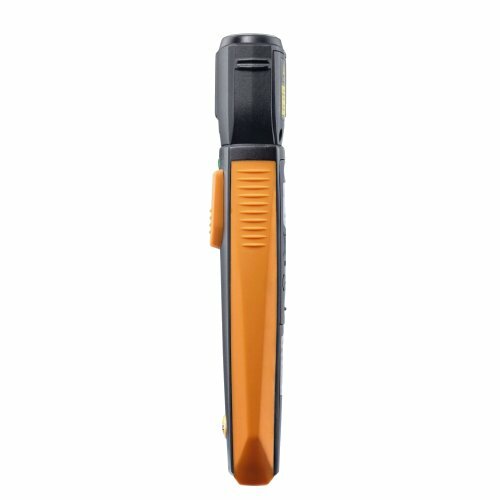 The handy Bluetooth® infrared thermometer, in combination with a smartphone or tablet, functions as a compact IR thermometer for wall temperatures, as well as fuse and component temperatures in air conditioning systems. The measuring point is marked clearly with a laser circle made up of eight dots - so you always know precisely where to measure.